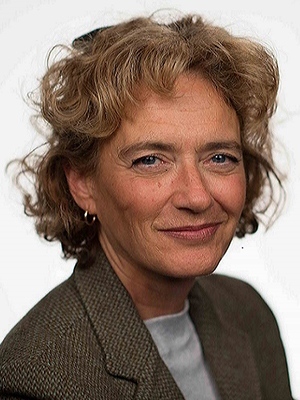 Joyce Napier is Ottawa Bureau Chief for CTV National News. Born in Montréal and fluent in English, French, Spanish, and Italian, Napier spent her childhood in Rome before returning to Québec to study journalism at Concordia University. She began her career as a print journalist, working as a Montréal correspondent for The Globe and Mail and The Canadian Press before becoming a reporter for La Presse. She joined CBC as a television reporter in Montréal in 1989 when she reported on the massacre at l’École Polytechnique in Montréal, beginning her near 30-year career in broadcast journalism. Napier first joined Radio-Canada in 1992, reporting on the 1995 Québec referendum before being named Radio-Canada’s Middle East Correspondent in 1998. While in the Middle East, Napier covered the second Intifada, the Israeli pullout from south Lebanon, and the death of Syrian President Hafez Al Assad. In 2003, Napier moved to the U.S. and was subsequently named Washington Bureau Chief for Radio-Canada, a position she held until 2014. During that time, Napier covered the U.S. Military base in Guantanamo Bay, the consequences of the BP Deepwater Horizon oil spill, the devastation of Hurricane Katrina, and the Newtown massacre. In 2008, Napier stood across from the stage in Chicago’s Grant Park, reporting live as Barack Obama accepted the presidency of the U.S., a highlight during her post. In what was to be her most memorable career moment, Napier reported from Rome on the death of Pope Jean-Paul II in 2005. Also that year, she landed the only media interview of Karla Homolka, who had just been released from prison. In August, 2015, Napier returned to Canada after 17 years abroad, becoming Radio-Canada’s Senior Political Correspondent for the network’s parliamentary bureau.